CRA November Newsletter / Research Updates and Future Seminars. A hands on workshop for patients and their caregivers! In this powerful presentation, you will walk away with specific acupressure points to use while recovering from conventional treatments. Conditions covered will include: hot flashes, fatigue and pain (including neuropathy). 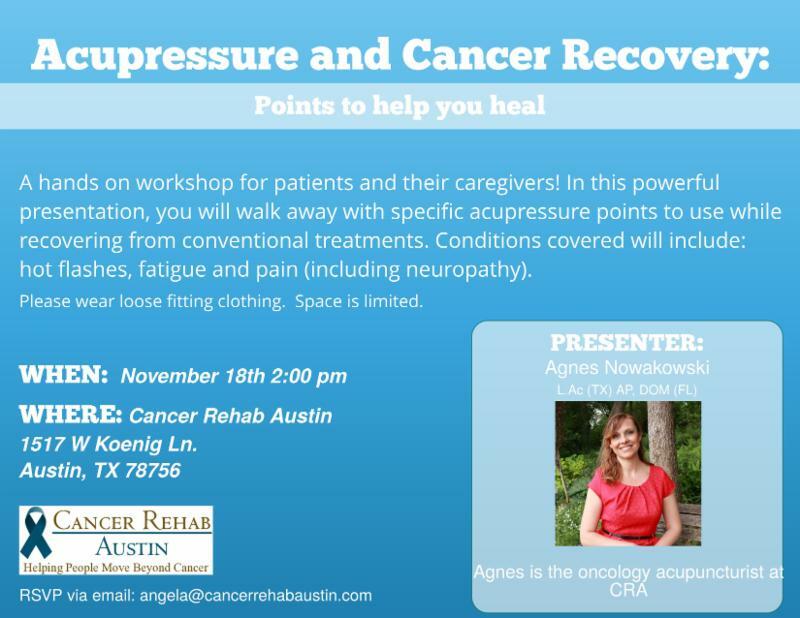 Agnes Nowakowski L.Ac, (TX), AP, DOM (FL) is the acupuncturist at Cancer Rehab Austin. 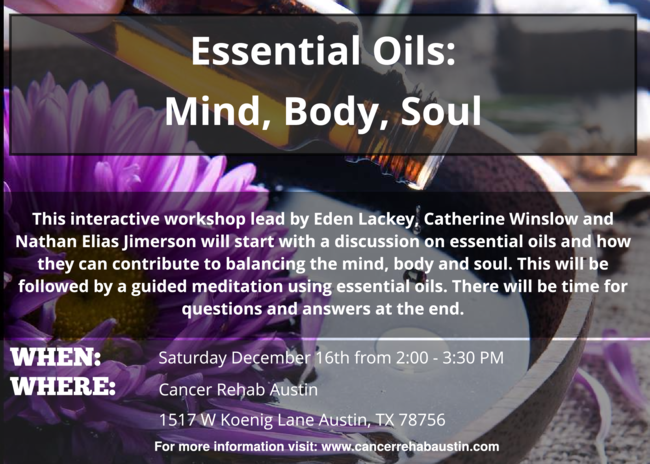 RSVP for "Acupressure and Cancer Recovery"
This interactive workshop will discuss essential oils and how they can contribute to balancing the mind, body and soul. This will be followed by a guided meditation using essential oils. There will also be time for a Q&A with leading wellness practitioners in the Austin community. RSVP for "Essential Oils: Mind, Body and Soul"
Vision boards are a powerful and creative way to harness the power of your dreams to manifest then into reality. In this workshop we will practice visualization techniques, set goals, make them tangible, have fun, and manifest the life you dream of! 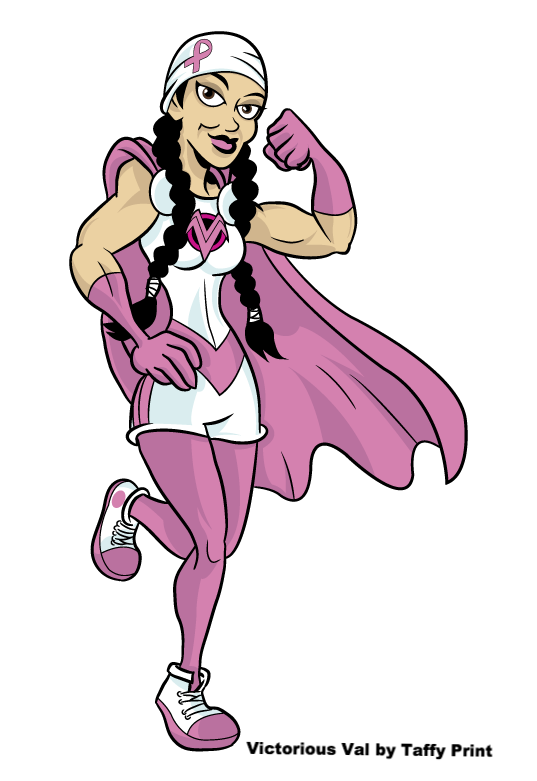 Nanette Labastida is a yoga teacher and transformation coach, empowering women who have been touched by cancer. She has been a yoga student for over 20 years, but after dealing with breast cancer in 2010 she was called to teach. Changes in her body & spirit challenged her to approach yoga from a new perspective. This rebirth of yoga launched a journey into deep self love and self care, enabling her to grow even stronger in body & spirit than before being ill. She teaches this enlightenment to fellow survivors and women over 45 through her yoga teachings and coaching programs. 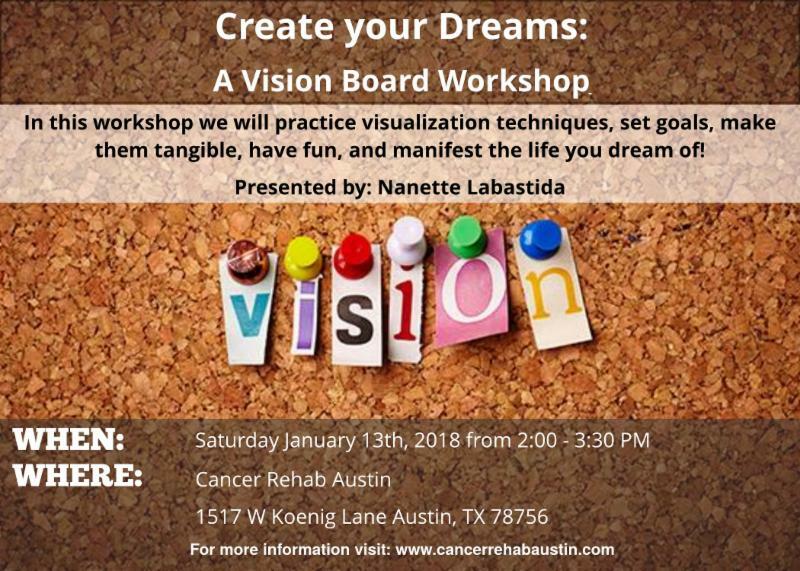 RSVP for "Create your Dreams: A Vision Board Workshop"
Your lymphatic system works closely with your circulatory system to move fluid through your body and is vital for immune function. When your lymphatic system is not working properly fluid can accumulate causing a blockage of the system. This is called Lymphedema. 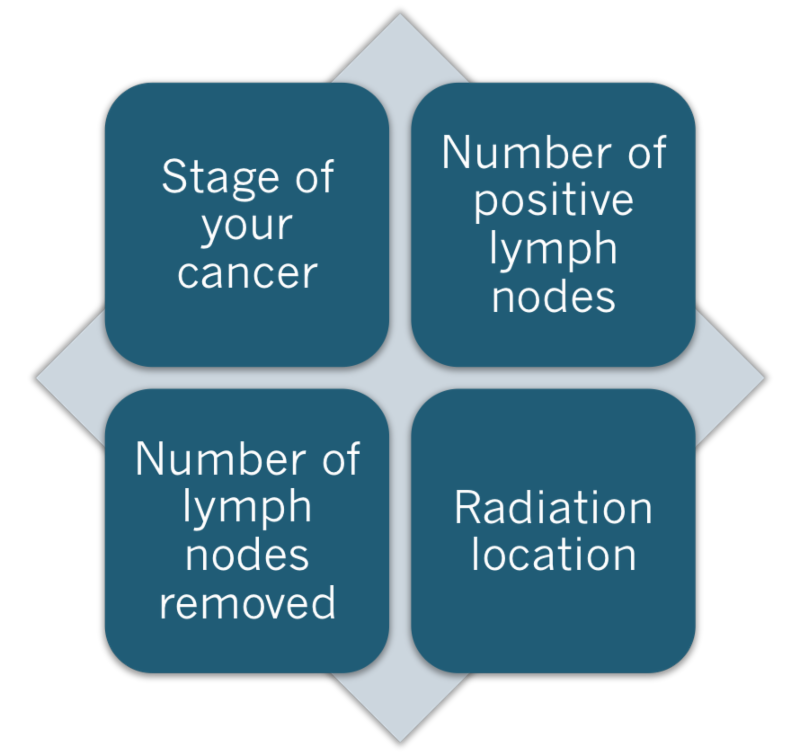 A person's lymphatic system can be compromised by trauma/injury, cancer treatment, or be from a congenital defect. The lymphatic vessels are the transportation system that moves fluid, proteins, cellular waste, and bacteria out of the tissues. The lymphatic system also contains white blood cells that aid in immune function. When the lymphatic system cannot perform its job effectively, fluid can accumulate in the tissues leading to swelling. This abnormal accumulation of fluid and swelling in the tissues is called lymphedema. To date, there is no cure for lymphedema, however, the amount of swelling can be reduced and the tissue quality improved in order to increase comfort, mobility and quality of life as well as prevent progression of the disease. The gold standard for lymphedema treatment is called Complete Decongestive Therapy (CDT). CDT is a safe, reliable and non-invasive treatment that is performed by a certified lymphedema therapist. Manual Lymphatic Drainage: A manual technique that re-routes fluid to areas in which the lymphatic system has not been compromised and can be eliminated more effectively. Compression bandaging or compression garments: Techniques that help eliminate fluid and soften fibrotic tissue. Therapeutic Exercise: Promotion of lymphatic circulation. Go to our website for more information and to schedule a lymphedema treatment. 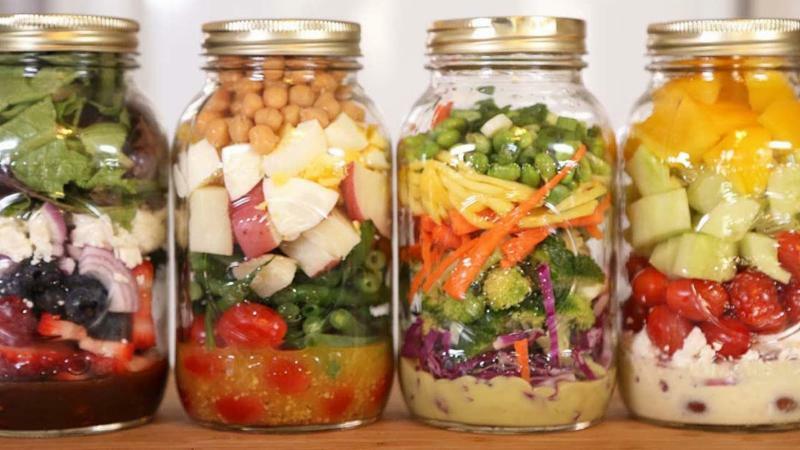 Consume healthy, well-balanced meals focused on a variety of fruits, vegetables, whole grains, beans, nuts, lean protein, and low fat dairy foods. 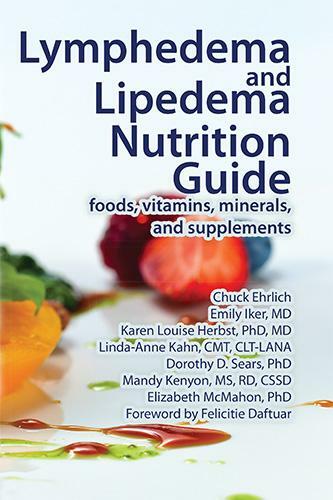 Chuck Erlich with Lymphnotes recommends eating whole foods, minimizing sugar intake and decreasing your consumption of animal products. This is a technique in which advanced imaging called Fluoroscopy is used at the same time as manual lymphatic drainage to allow the lymphedema therapist to actually adjust their technique and pathways based on the patients unique lymphatic injury and move fluid away from areas of blockage. This new technique requires advanced training and many lymphedema practitioners in the UK are starting to use this technique. In the future therapists in the USA will be trained and this technique will become available in treatment centers around the US. 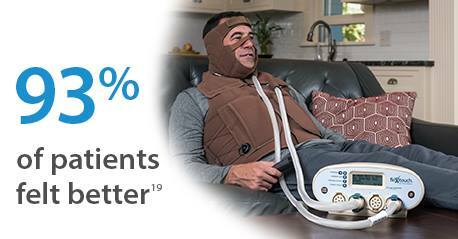 There is a new compression pump for head and neck lymphedema by Flexitouch. They are currently seeking participants for a study on the new device. In previous studies for the arm and leg pump with the Flexitouch device a reduction in swelling, fibrosis, and decreased incidence of cellulitis have been reported. This new product specific to head and neck swelling is now available and may be a promising modality to use in conjunction with treatment by a lymphedema therapist. 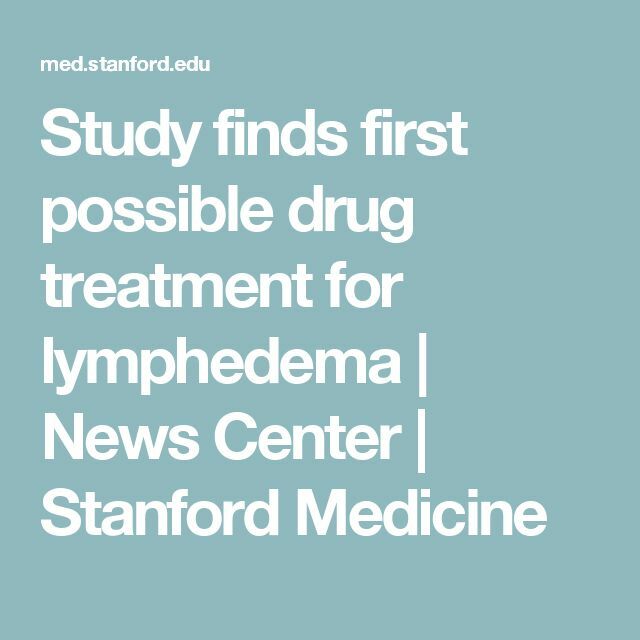 At Stanford they are currently performing a phase II trial with the anti-inflammatory drug called Ubenimex on lower extremity lymphedema. This drug has a very specific inflammatory pathway that differs from over the counter medications like Motrin and Aleve. This drug blocks Leukotriene B4 (a molecule linked to inflammation.) Previous studies reveal a reduction in edema, reduced skin thickness, and less vessel dilation. If you would like to be a part of this clinical trial here is more info. LymphaTech is a handheld 3D scanning device with increased accuracy in measuring and tracking limb volume. 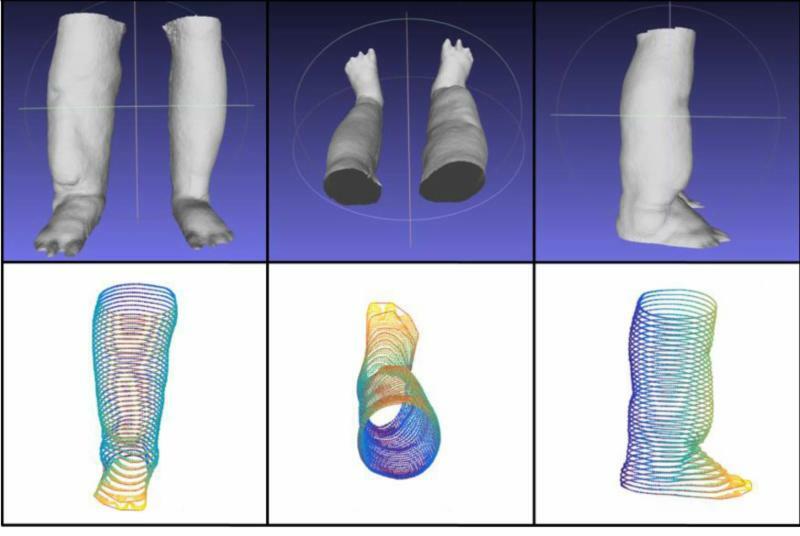 LymphaTech's 3-D scanner allows clinicians to diagnose lymphedema with highly accurate measurements of both volume and circumference compared to gold standard measuring tape and water displacement treatment. 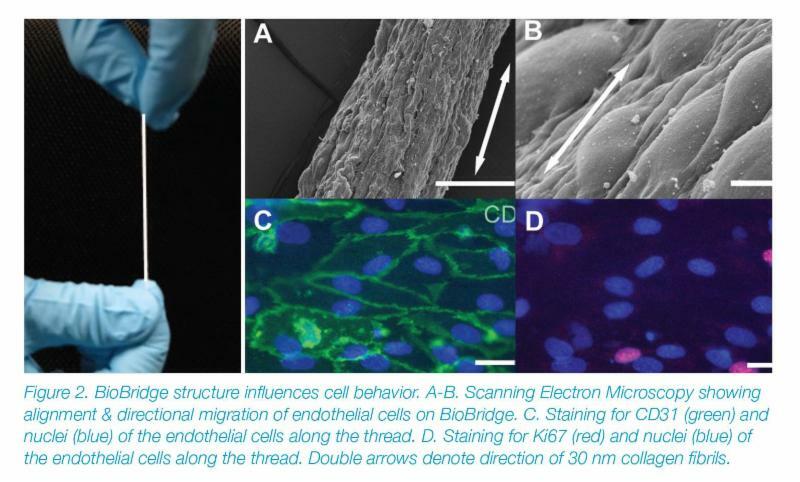 A Biobridge scaffold is a scaffold made of Fibralin that is surgically placed next to a transplanted lymph node to promote vascular and lymphatic regeneration. The FDA has given clearance to conduct stage II clinical trials in humans and the 1st surgery has been performed at Stanford on June 2017. New Product From a Local Austin Inventor! Protect Yourself From Mosquitos and Other Bugs Without Toxic Chemicals With Meshed. MESHED is a lightweight, breathable, non-toxic and attractive jumpsuit that hinders mosquitoes, ticks and other bugs from making contact with your skin. Those with lymphedema have to be cautious about bug bites due to risk of infection or increased swelling. MESHED is a natural bug repellent option. "I eagerly crossed the days off of my calendar in 2011-2012. Not one to typically rush time, the end of breast cancer treatment couldn’t come soon enough. Naively, I assumed that everything would go back to normal on the magical day I’d circled. You know, that I’d pick up right where I’d left off. On March 12, 2012, I retired my countdown highlighter, ripped the calendar from my fridge, and moved on. But I’d soon realize it was not over. ﻿for cupboards, pick up dishes or do household chores without pain. Something was terribly wrong. 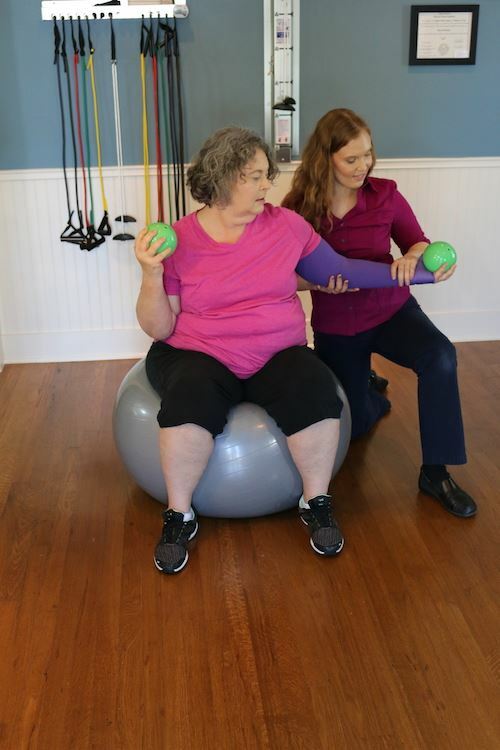 After a few survivor friends mentioned that I might be suffering from Lymphedema, I made an appointment with Angela and began my road to recovery. It turns out that the radiation - more or less - fried my lymphatic system in the upper quadrant of my body. With the Manual Lymph Drainage massage method, she helped me regain use of my arm. She taught my husband, Jack, to perform it as well, and for many months, he helped me keep the swelling in check. She also sent me home with rehab exercises after my initial visit, and I got fitted for compression. Armed with these tools, I was able to get it under control. I was still worried about my weightlifting, though. An avid exerciser, I had competition ambition. I wanted to bodybuild, but I assumed that I couldn’t fulfill that dream now that my arm was not 100%. Angela supported me and helped me ease back into that environment, and together we used bodybuilding to strengthen my arm. In fact, I attribute weightlifting exercises with keeping my lymphatic system in check. Under her careful supervision, and after following her directions, I’ve only had 2 noticeable flares, and both were prior to my return to training. Today, 6 years later, I maintain a healthy arm and have successfully competed for three seasons. I continue with monthly MLD maintenance, wear compression when exercising or flying, and pay attention to my body. Lymphedema has not slowed me down and, at times, it is hardly noticeable. True, with a cancer diagnosis, I have learned that it’s never really “over.” I don’t mean that in a cynical way, but just that I do have to be vigilant and proactive. However, I am able to do the things I did prior to cancer and actually more - even with Lymphedema. My quality of life has not suffered, and I look forward to increasing my strength in the gym on a weekly basis. This summer I will be competing in my 5th fitness show, and I plan to bring my best package to date. 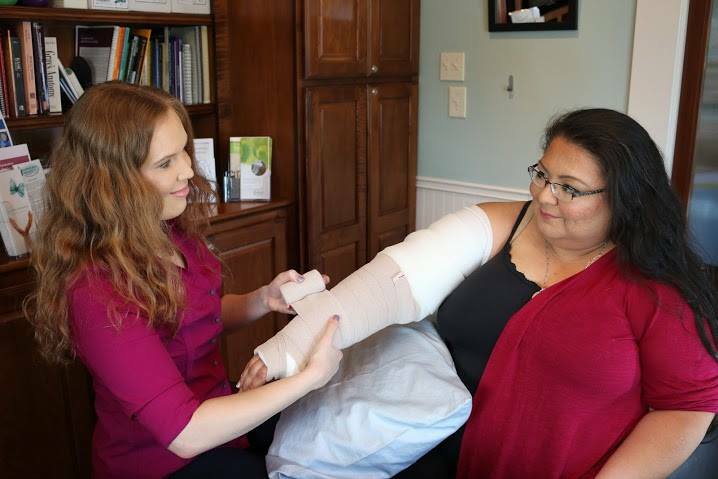 If you’re struggling Lymphedema, I highly recommend meeting with a specialist like Angela to develop a plan of action. She has been a key player in my recovery, and seeking her medical expertise was the best thing I ever did." 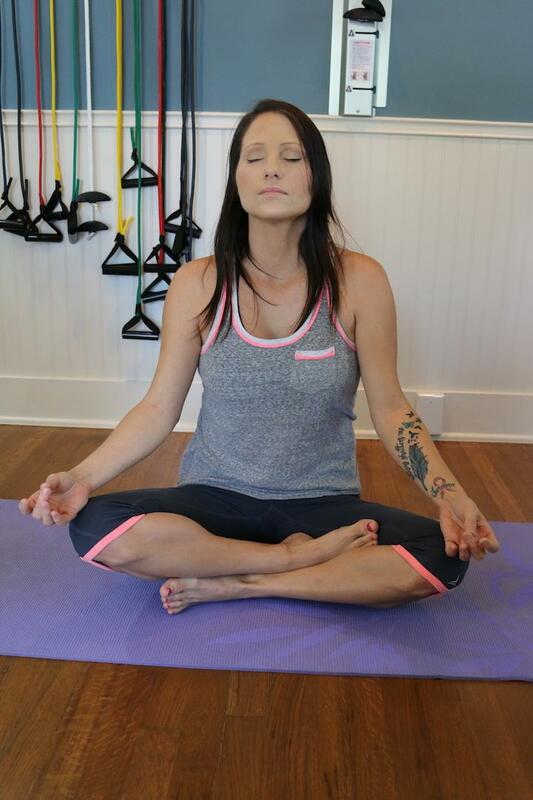 CRA offers private yoga sessions taught by Kimberly Wharton. For more information or to set up an appointment, contact Krystle Zuniga at: kezuniga@gmail.com.